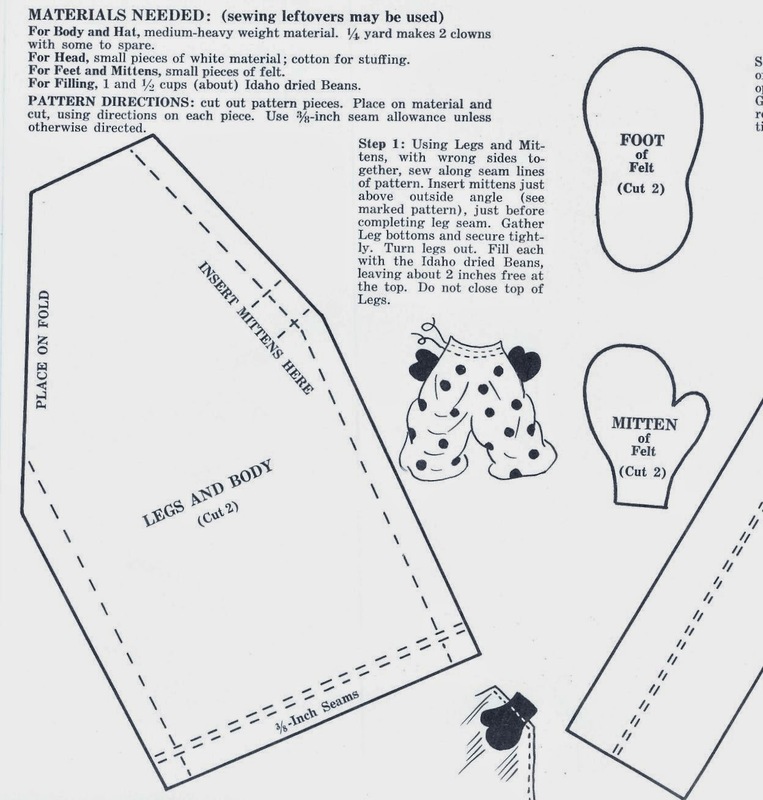 Vintage Cloth Doll Patterns: Beanie the Clown Doll - Idaho Bean Commission -1960s? 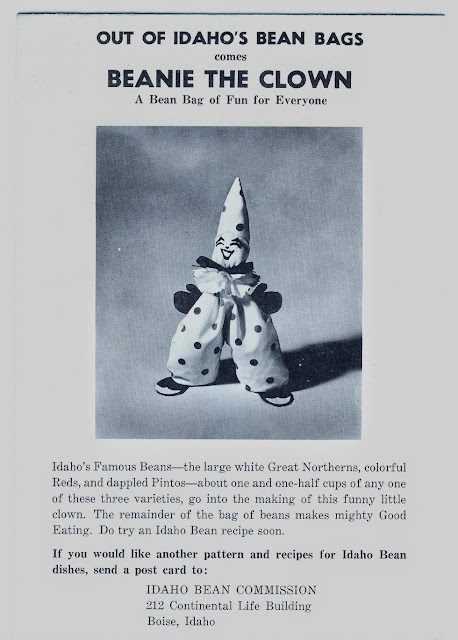 Beanie the Clown Doll - Idaho Bean Commission -1960s? Beanie the Clown pattern was given away free by the Idaho Bean Commission. There is no date on the pattern, but it looks to be from the 1960s. Since his body is his costume, the only other clothing pieces are his hat and the ruffle around his neck, which are sewn in place. There were other cloth and character dolls similar to Beanie made in the mid-20th century. Their simple construction made them popular bazaar items. The exhortations to eat beans ("Let a pot of Beans be cooking while you're sewing.") make this a fun advertising collectible as well as a cute pattern.